If you’ve been following me on social media you’ll know that I’ve just returned home from a long-haul holiday. We flew out to Orlando at the start of February and spent 16 days in the warm Floridian sunshine. Sixteen days! 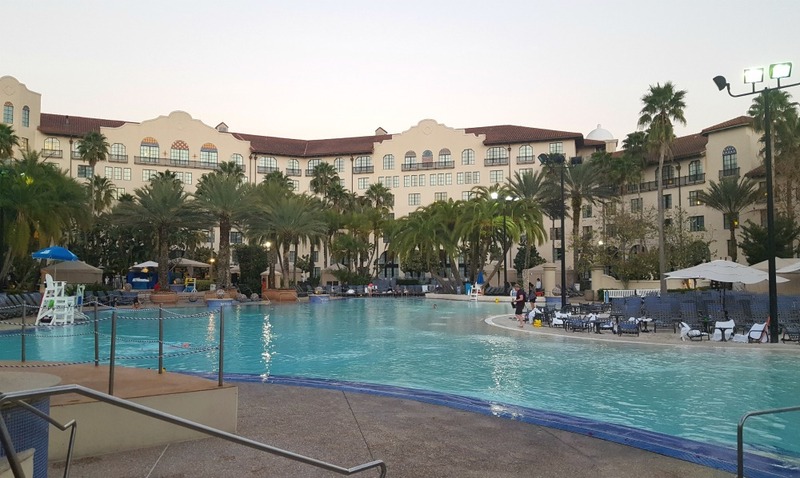 Our time was spent hotel-hopping between 3 different resorts: the Hard Rock Hotel at Universal Orlando Resort, Lake Buena Vista Village Resort & Spa and Disney’s Art of Animation resort. 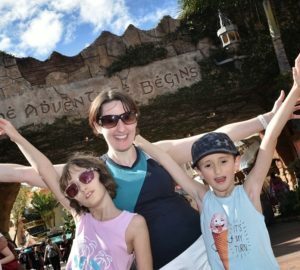 It was great to compare the facilities and benefits of all 3 (expect a blog post on that very soon)..
We visited so many theme parks and water parks while we were there – almost one every day! We also enjoyed some good food and browsed the shops at the Florida Mall. One thing you can’t accuse us of is taking it easy on holiday! As a family we absolutely love Orlando and everything it has to offer. We’re lucky that we’ve been twice as a family already and my husband and I have been twice before that too. Despite that, we always manage to find new experiences whenever we visit; there really is so much to do. 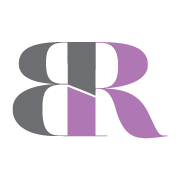 I’ll be writing some more detailed posts about our holiday very soon. In the meantime, here a few snaps to whet your appetite. Some of my favourite Florida holiday photos. Here’s a view of our first hotel: the Hard Rock Hotel at the Universal Orlando Resort. The swimming pool is a great size and even plays music underwater. It also boasts a water slide and 2 hot tubs (one for adults only and the other for everyone). Nice! 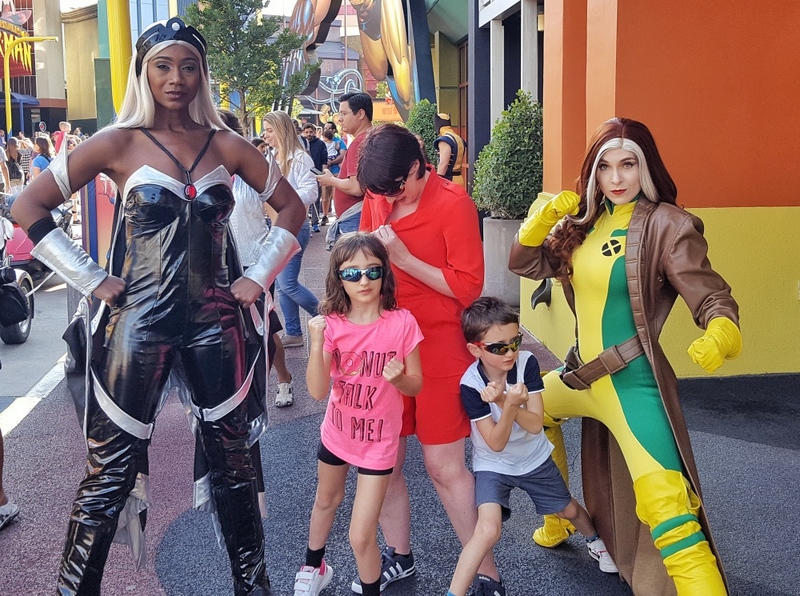 Here we are with Storm and Rogue from the X-men at Universal’s Islands of Adventure theme park. We all did our best superhero poses and then the top of my playsuit popped right open! Wardrobe fail! 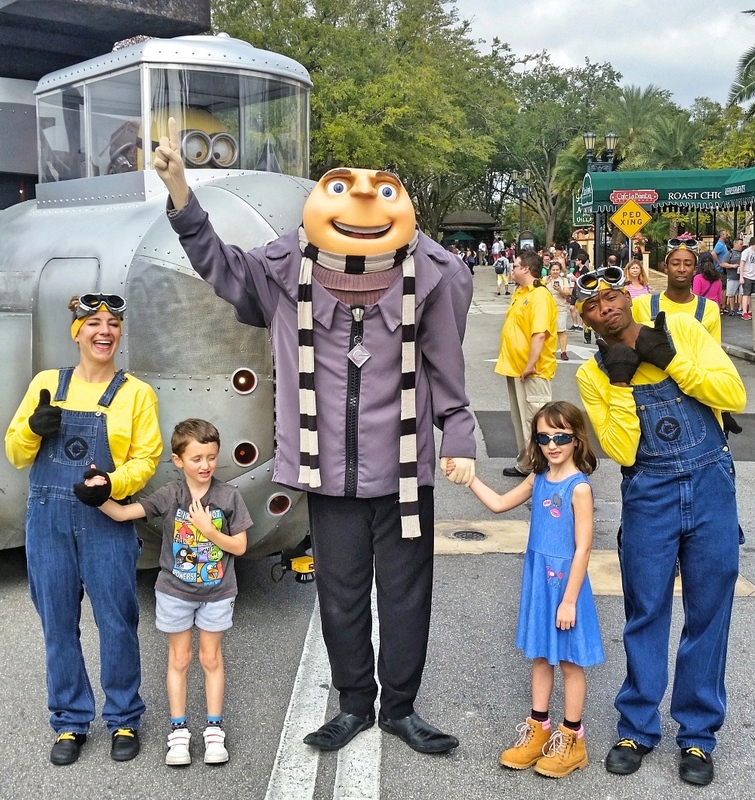 A major highlight was catching the Despicable Me parade at Universal Studios. My son was picked out of the crowd to dance with the minions as part of the parade! 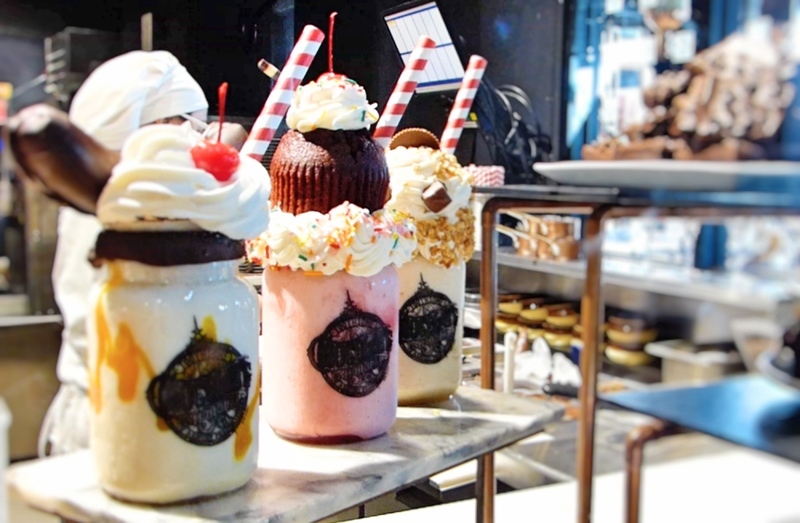 The Toothsome Chocolate Emporium at Universal Orlando Resort’s CityWalk has the best, most luxurious milkshakes I’ve ever seen! My 7-year-old has become a fan of Harry Potter since visiting Universal Orlando Resort a couple of years ago. It was only right that she got to go wand shopping at Ollivanders. 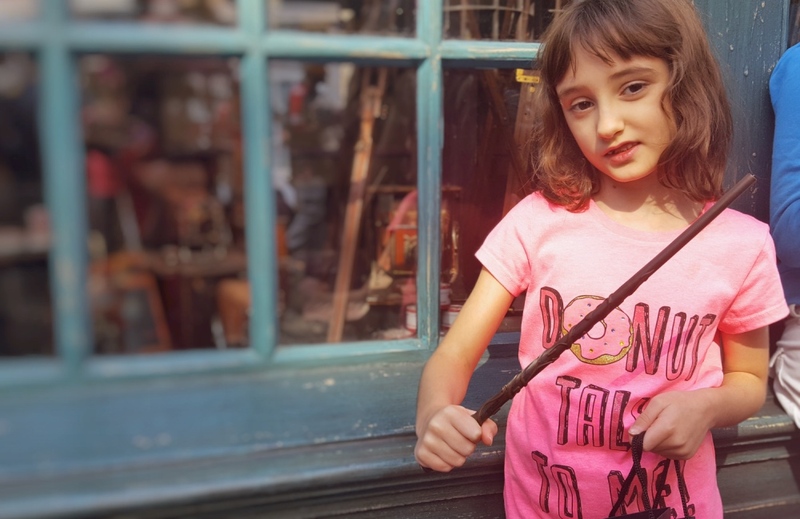 She picked up a replica Hermione Grainger wand and even spent some time casting spells around The Wizarding World of Harry Potter (a themed section spanning both Universal Studios and Islands of Adventure). 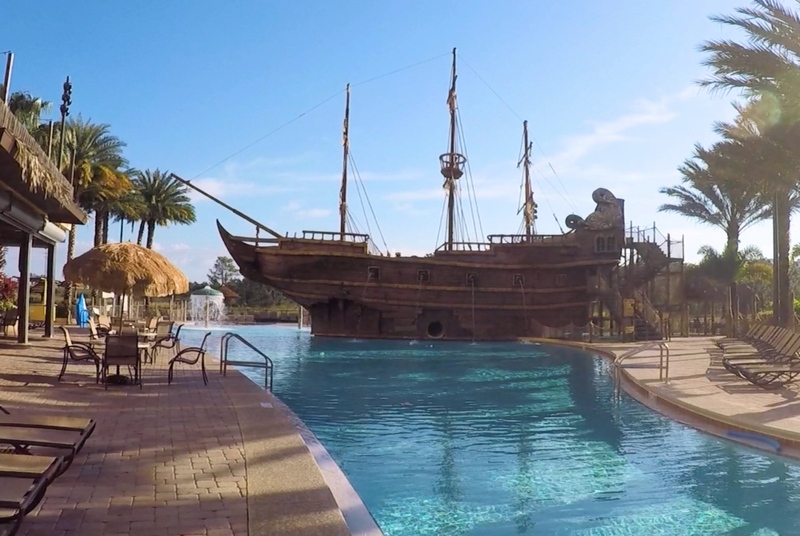 It’s not often you see a pirate ship in a swimming pool! This belongs to Lake Buena Vista Village Resort & Spa, our second hotel of our holiday. Fun fact: the hole you can see in its side isn’t from a cannon ball, it’s actually the exit of a water slide. 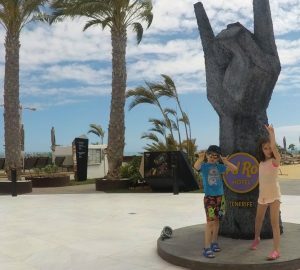 The weather was amazing while we were on holiday: the coolest day was about 22°C and the hottest topped out at 28°C. 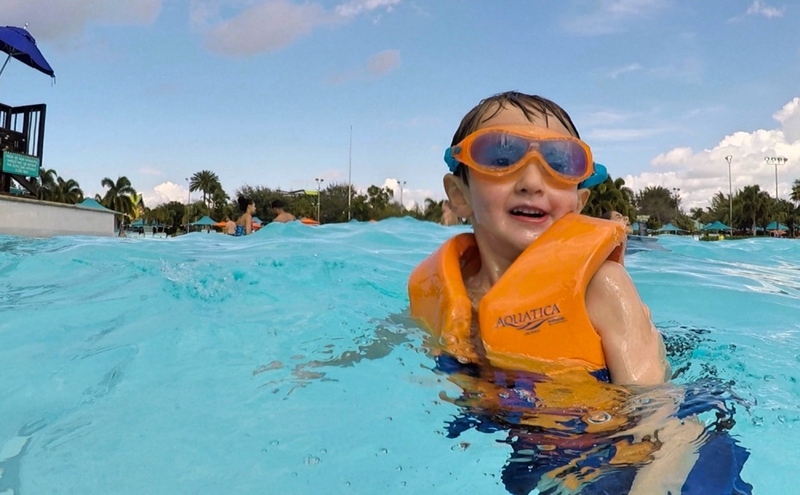 Needless to say, some of our days involved cooling down at a couple of water parks! My daughter and I enjoyed a girl’s day during our holiday and spent the day at Discovery Cove. It’s an exclusive, all-inclusive resort in Orlando where you can get a little closer to nature. The resort also controls how many people can visit each day so that it doesn’t get overcrowded. 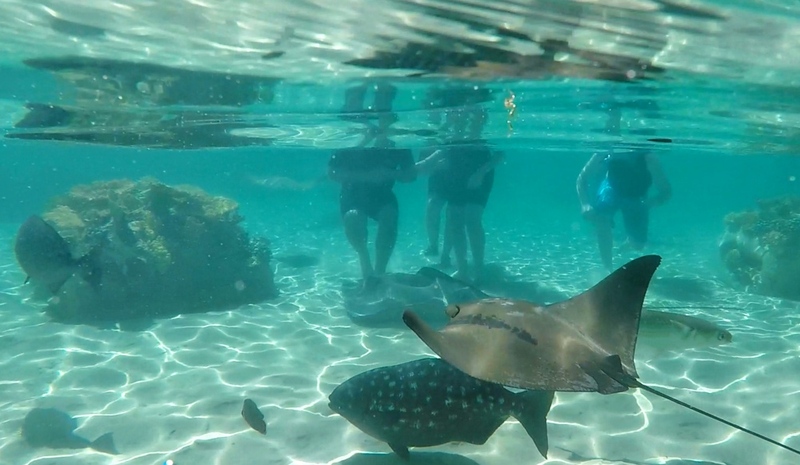 We got to feed exotic birds in the aviary as well as swim with rays and other fish in The Grand Reef. 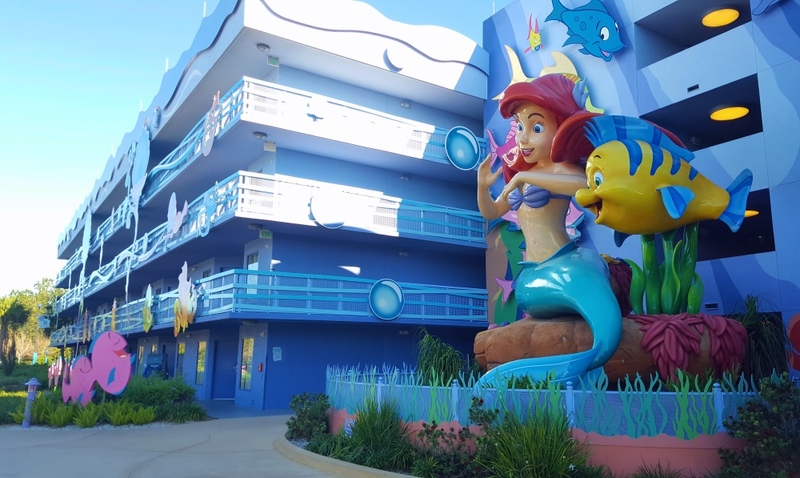 Our third and final hotel was the Art of Animation resort at Walt Disney World. It’s bright, colourful and dedicated to four major animation films: Cars, Finding Nemo, The Lion King and The Little Mermaid. 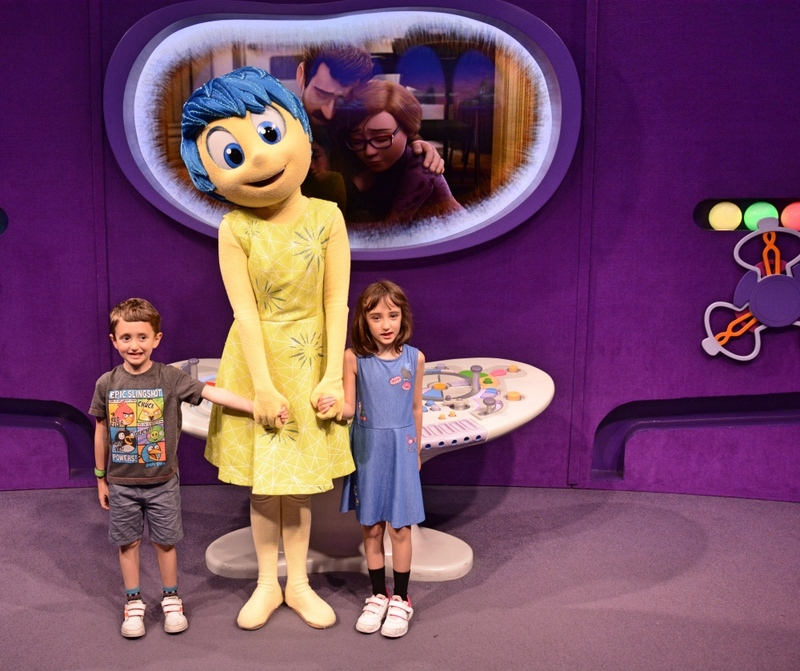 We met lots of different characters during our holiday, including Joy from Pixar’s Inside Out movie. Just look at my son’s cheesy smile! 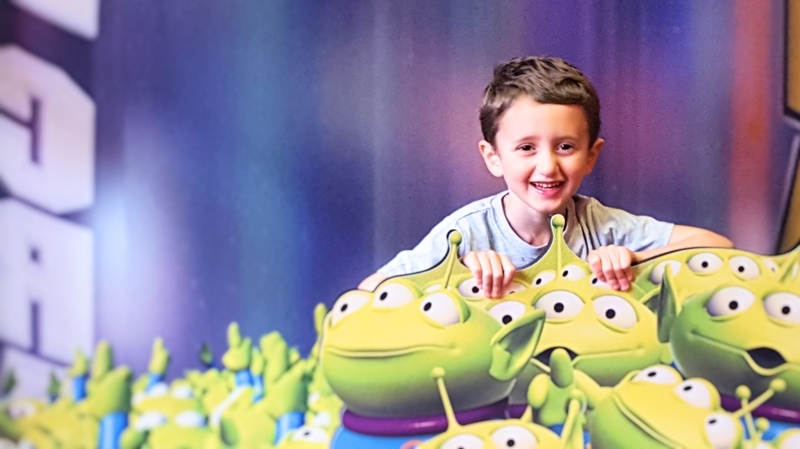 I love the look on my son’s face in this photo. That’s pure happiness right there.